There are still many manual systems here. For parking space on the main roadside, we are still using human labor to assist the drivers parking their cars. The whistle seems never lost from his mouth. 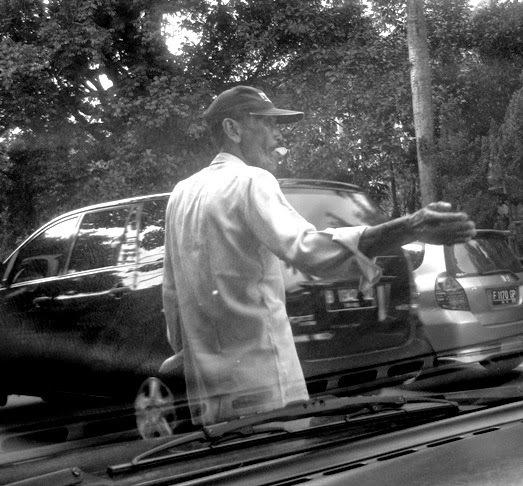 His whistle and hand movements ease many drivers. Wow. I had no idea that such a job existed. Not a bad idea in a heavily crowded city area. Interesting photos! I can imagine that there are lot of cars to assist! 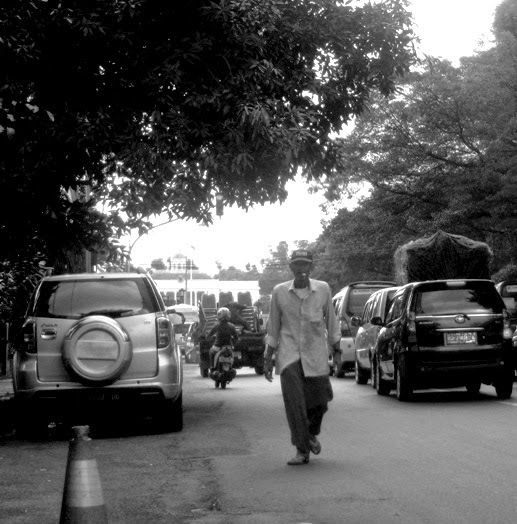 Streetphotos is so good using b&w! Yes, it can be a good help ! Wonderful photos of these interesting street scenes! Great sequence of street shots. We could certainly use assistance like this in cities here. Great photos Lina. Really enjoying your street life b & ws! I like these! Great street photos! That sounds an invaluable job! I hope the Whistleman continues for many years! How to Buy Chimney Caps?